Start off your visit on the 19th (Fri): don't miss a visit to Medina of Hammamet, wander the streets of Yasmin Hammamet, and then stroll through Hammamet Beach. To see photos, maps, ratings, and tourist information, read our Hammamet trip planner . If you are flying in from United Kingdom, the closest major airports are Enfidha - Hammamet International Airport, Tunis Carthage International Airport and Monastir Habib Bourguiba International Airport. 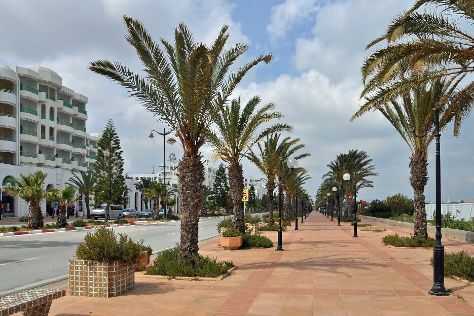 In April, daytime highs in Hammamet are 26°C, while nighttime lows are 14°C. Finish your sightseeing early on the 19th (Fri) to allow enough time to travel back home.